Capcom and Clover Studio’s Okami was released on April 20, 2006, for the Playstation 2 when that system was on its way out, as the Playstation 3 was only sevent months away. Yet, that didn’t stop the game from receiving critical acclaim and quickly becoming a favorite among players all over the world. The Zelda-like videogame has a devout following, thanks to its beautiful art style and the fact that it takes place within the realm of Japanese folklore. 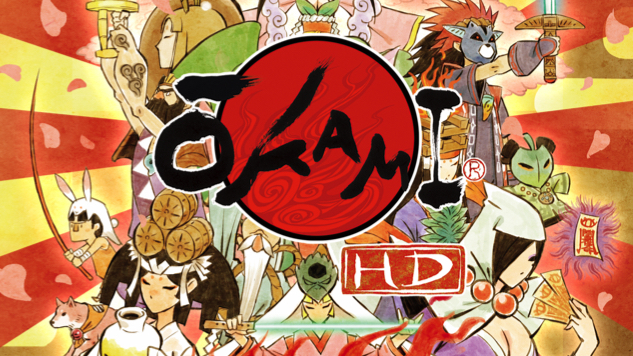 Since Okami’s initial release, it has seen the light of day on the Nintendo Wii, the Playstation 3 and almost all of the most current generation consoles, including Playstation 4, Xbox One and PC. The game has not been on a Nintendo system in a new form since the motion-enhanced version on the Wii (though the Wii version is playable on the Wii-U) ... until now. During Nintendo’s Direct Showcase on March 8, Okami HD was shown and set for a summer release, though no exact date was given at the time. Capcom has now officially set a date for the game’s release, announced via the Okami Twitter account, and that date is Aug. 9 of this year. That same tweet shows how the Switch’s touchscreen will work in-game, ending with the fact that the game is now available to preorder from the Switch’s eShop. The game is not yet available for preorder from the eShop website, but that will change soon enough, presumably. Okami HD is a unique game that seems like the perfect Switch title and hopefully, more players will get to experience the special game that has inspired such a devout love in many, many people. Rumblings of an Okami sequel have been around for as long as Okami itself and the game’s director, Hideki Kamiya, hinted towards the possibility of a sequel during an interview at E3 2016. Nothing has been heard about a sequel since, and even then, Kamiya’s simple statement was anything but concrete. If Okami HD, in all of its iterations, sells well enough, then the prospect of a sequel may become more realistic.